We only collect basic personal details to allow us to: process orders; undertake on-going customer communication and support, with the aim to provide a better service and product offering to our clients. As a matter of company policy we will not release names, addresses, email addresses, or any other information about our customers and prospects to any outside party. As a result, we guarantee not to trade, sell, resell, or redistribute information that you provide to us to any other company, organisation, or individual. All our emails contain an opt out link which will stop further emails being sent. 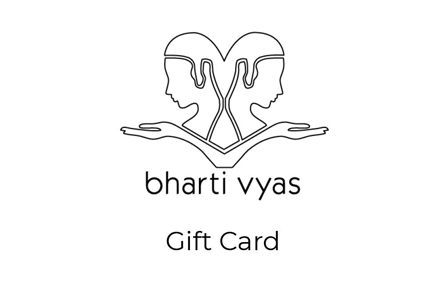 If you wish to opt out of all communication including email, telephone, and direct mail please email contactus@bhartivyas.com requesting a full opt out. Information provided to us during the ordering process is protected by 128-bit industry-standard Secure Sockets Layer (SSL) technology to provide encryption of personal information such as your name, address and credit card details.